Reproduced in Biography in Context. Farmington Hills, Mich.: Thomson Gale. 2006. 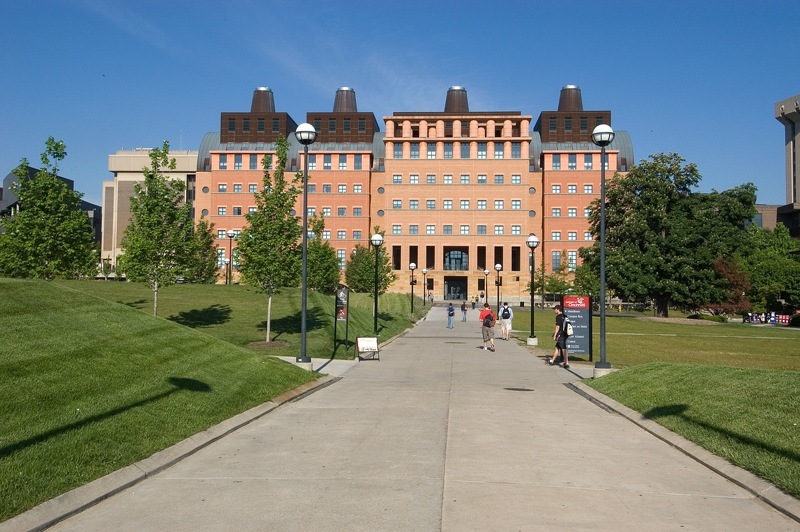 “Science Research Building, University of Cincinnati; Value Engineering Used in Design.” Architecture (94-59), Mar 1994, 104-105. Michael Graves: the road to gold.” Architectural Record v. 189 n.5 (May 2001): 164-77. Goldberger, Paul. “Cincinnati synthesis: turning disparate design elements into a unified whole.” Architectural Digest v.58 n. 4 ( 2001): 220-7, 290. Holden, Mark. “Sounding Out Riverbend.” Architectural Record v. 174 n. 12, (1986): 130-133. “Engineering Research Center, University of Cincinnati, Cincinnati, OH.” Architectural Record v.186, n. 7 (1996): 86-91.